If you are going to play golf, regardless of the course, you will definitely need a golf divot tool. But what exactly are these tools, why do you need them, and how do they work? These are the questions we will answer in this article. We have also reviewed five of the hottest-selling and most popular golf divot tools on the market today and highlighted the brand of tools that we most highly recommend. What Is the Definition of Divot in Golf? What is the definition of “divot” as it applies to the game of golf? Actually, this question has a two-pronged answer. First, when hitting from the fairway, the rough or even the tee-box, a divot is a piece of turf that is cut from the ground as the result of a swing or a stroke. (Divot can also refer to the hole that is left where that piece of turf was gashed out by the club). When hitting the golf ball with an iron or wedge, most swings will result in a thin layer of sod being removed from the ground. This thin layer of removed sod, or this divot, can typically (but not always) be found in front of where the ball was resting before it was struck, meaning the golfer hit the golf ball first and the resultant downward swing angle and follow through forced the club to cut through the turf where it made contact. The second kind of divot—which is central to this article—refers to the small dent or gash in the putting surface that is created when a ball lands on the green. For instance, on a full wedge shot, when the ball is hit very high into the air towards the green, the ball, when it eventually lands, can leave a noticeable impression or dent in the turf. And while this impression or dent is not exactly a “divot” in the traditional sense, it is more than often “called” a divot in mainstream golf-speak. Why Do You Need a Golf Divot Tool? Now that you understand the two different kinds of divots in golf, it’s important to note that the second type of divot—a dent or impression that is left when a golf ball lands on the green—is the type of divot for which golfers require a divot tool. Divots on the green can cause the turf to be very uneven in that spot. As such, these divots can negatively impact the manner in which the ball rolls, making it more difficult to putt on the surface. And when those divots add up, the green could quickly end up looking more like a mine field than a putting surface. For this reason, all golfers are required to fix the divots they create with their approach shots—as a common courtesy to other golfers. And fixing these divots is why you will always need to carry a golf divot tool when playing on any type of golf course. A golf divot tool is a small, pocket-sized implement, usually with a forked shape at one end. 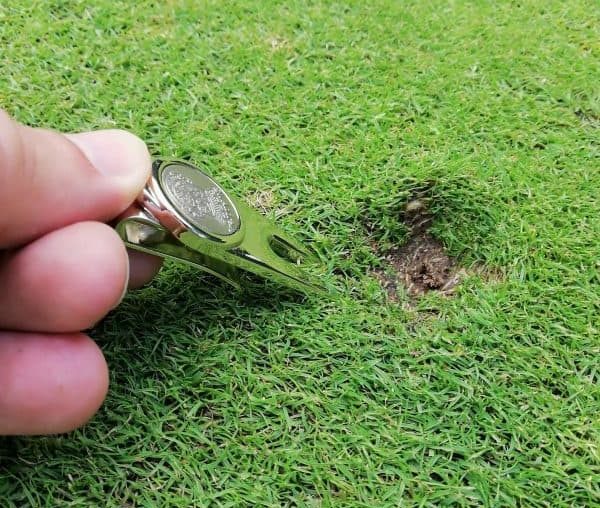 To use this divot tool to repair your ball marks, you will want to insert the divot repair tool in the putting surface, just outside the edge of the divot at about a 45-degree angle. While pressing the divot tool slightly down and forward into the turf, the goal is to press the putting surface turf closer to the center of the hole. Be careful that you do not push up on the ground at the bottom of the ball mark, as this may cause damage to the green. With the divot tool still in the turf, move it to the side to help close the ball mark. You should complete this last step as many times as needed until the divot is completely covered by turf—covered by pushing the sides of the divot together. When this is completed, use the sole of your putter and lightly tap the repaired ball mark until the covered divot is completely even with the surrounding putting surface. Golf divot tools come in many sizes, shapes, styles, and designs. Here we will take a closer look at the different types of golf divot tools, including the solid, pin, twist, and switchblade varieties. As the name suggests, a solid golf divot tool is a one-piece tool made entirely out of metal, often stainless steel, aluminum, or a strong zinc alloy of some kind. A solid golf divot tool typically has a rounded handle—one that may or may not include a magnetic pocket in which to hold a ball marker. The opposite end of a solid golf divot tool is shaped like a two-pronged fork which narrows towards the end. 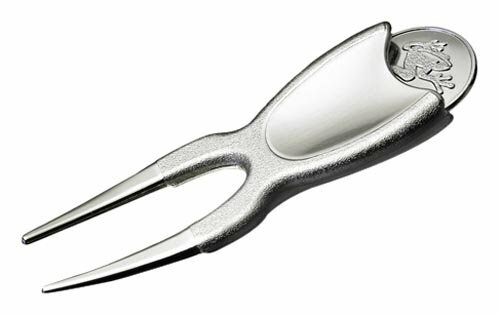 The prongs on this type of divot tool are raised slightly upwards, at an angle that is recommended for the repair of ball marks or divots on the green. Unlike solid golf pivot tools, which are designed with fork-like prongs to repair ball marks, a pin golf divot tool uses a pin or pins to accomplish the same objective. Pin golf divot tools are typically equipped with one, two or three strong metal pins with a pointed arch at the top end to help grab the sod. When used correctly, pin tools are known to cause less damage to the turf when fixing ball marks, thanks largely to their very narrow design. A twist golf divot tool is equipped with three pin-like prongs that are arranged into a triangular shape. With this tool, instead of inserting the tool around the ball mark, as one does with a traditional tool, the prongs are inserted directly into the ball mark. 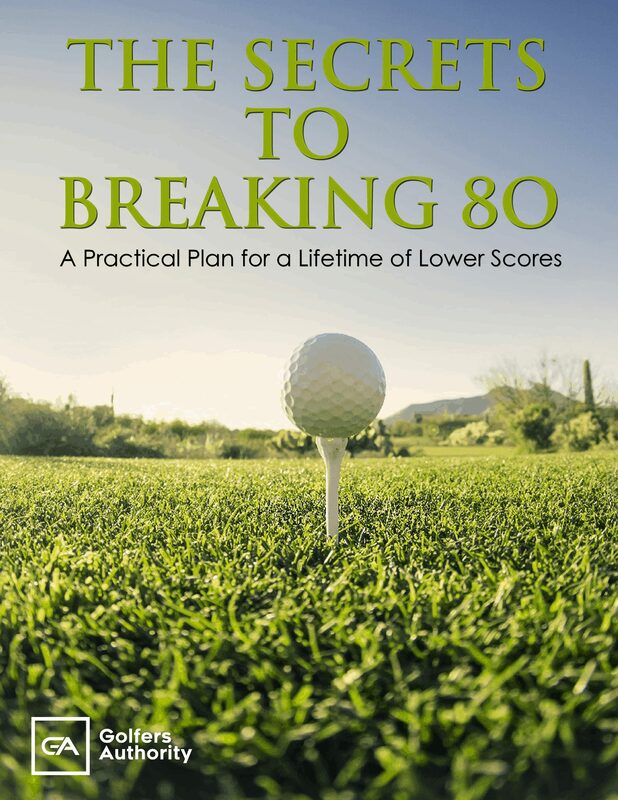 Once inside the turf, a twisting action is used to loosen and raise the compacted soil—the dent from where the ball hit the green—and the turf is instantly raised, without having to upset the turf around the ball mark. 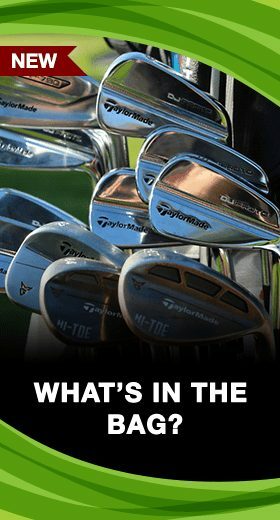 If you think you know what a switchblade golf tool is just from the name—you are probably right! Yep, you guessed it. A switchblade golf divot tool is one that is opened at the press of a button, just like a switchblade knife. But that is where the similarities end. Switchblade golf divot tools are available in a number of different varieties, from those with a solid one or two-pronged piece of metal, to those with one or more pins. What is common to all of them is the manner in which the golf divot tool is opened, via a spring-loaded mechanism that is activated when a button or lever is depressed. Switchblade golf divot tools are very handy and much more comfortable to carry in your pocket. No more will you have to deal with uncomfortable prongs or pins sticking you. When these types of golf tools are closed, they are as comfortable to carry as a coin. When it comes to manufacturing golf divot tools, nobody does it like Pitchfix. With products that are distributed and sold in 46 countries worldwide, Pitchfix is the global leader in golf divot tools, responsible for a number of state-of-the-art patents in the industry. 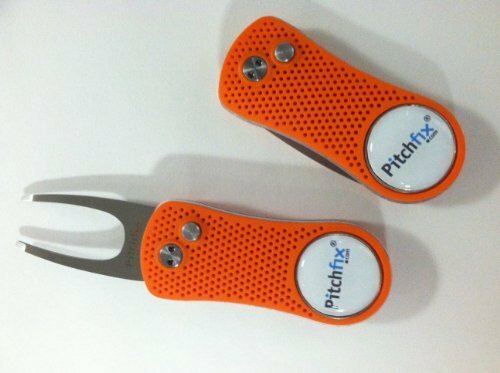 Although still a relatively young company, with 13 years of service under their belt, Pitchfix has made remarkable strides in a very short time, going from their original golf divot tool in 2005 to a complete line of golf accessories that golfers depend on around the green. With names like Fusion and Twister, their complete line of golf divot tools have saved a countless number of greens around the globe, while also saving golfers a lot of time and effort repairing their inevitable putting surface divots. 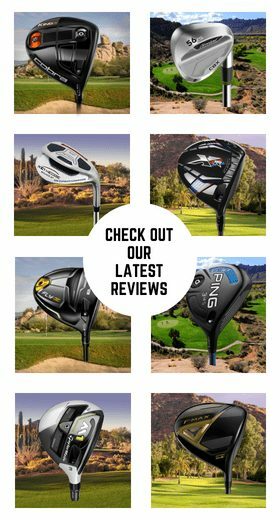 Below we have compiled some short reviews highlighting some of the best golf ball divot tools currently on the market today. Although at first glance it appears fairly basic, the Birdicorn the 6-in-1 Golf Divot Tool is the first and last tool you will ever need around the green. 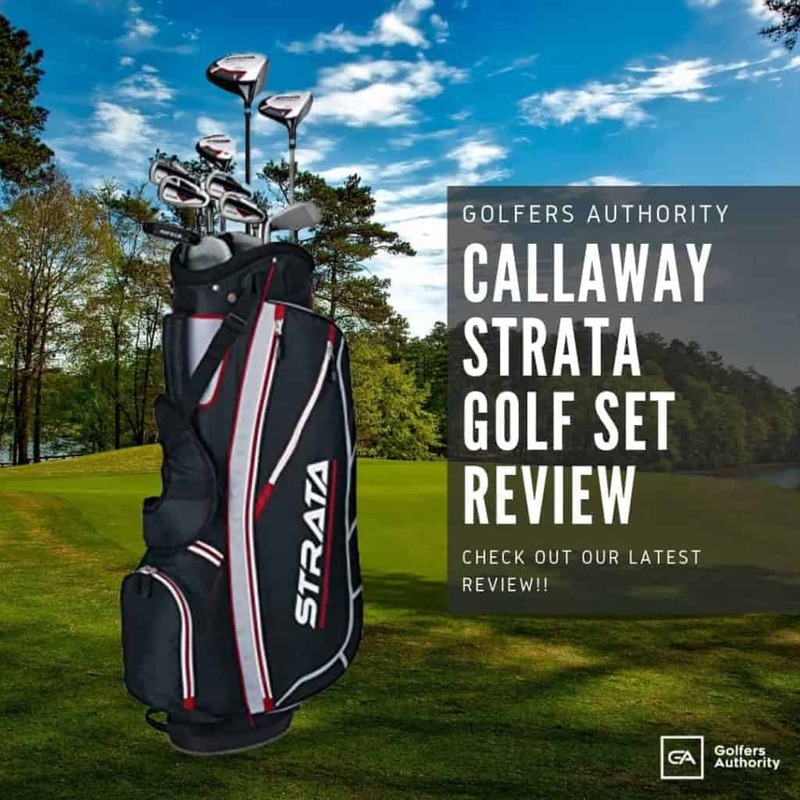 Made of durable CNC aluminum and colored gun metal gray, this two-pronged tool can fix all ball marks or divots, big and small, and its lightweight design will never weigh you down as you play. The Birdicorn the 6-in-1 Golf Divot Tool includes a ball marker holder that enables your included ball marker to fit snugly into the tool, and its design leads to a number of other handy and quite unique functions. In addition to helping you repair ball marks, the Birdicorn the 6-in-1 Golf Divot Tool can also be used as a ball line stencil, a putt alignment aid, a golf club groove cleaner, and even a handy bottle opener for those hot days on the course. With a rubberized body and a high-gloss ABS top, the Pitchfix Twister 2.0 is both strong and comfortable. Its patented three-pin design allows golfers to literally twist up the depressed or compacted earth left by a ball mark, without disturbing any of the surrounding sod. Voted best divot repair tool in 2016, the Pitchfix Twister 2.0 uses strong metal pins with a triangular top to penetrate the putting surface effortlessly, while also gently twisting the sod to bring it back to where it was. Available in 10 different colors, your Pitchfix Twister 2.0 can be customized to match your style and preferences, and its rubberized body feels comfortable in any pocket. The Pitchfix Twister 2.0 also comes with a removable ball marker, making it a great all-around tool for golfers around the green. One of the best sellers from the leaders in golf divot tool technology, the Pitchfix Fusion 2.5 Pin utilizes its patented pin technology to fix any type of ball mark on any type of green/putting surface. Lightweight and very soft to the touch, the Fusion is available in a variety of stylish color combinations, including gun metal grey with blue accents. The Pitchfix Fusion 2.5 Pin was voted the best golf divot tool of 2017, following up their company’s win in 2016 with their Pitchfix Twister 2.0. This newest offering features a switchblade-like opening function for easy access and comfortable carrying. In addition to being one of the best golf divot tools in the industry, the Pitchfix Fusion 2.5 Pin also comes with a removable magnetic ball marker with the Pitchfix logo and a built-in scorecard pencil sharpener. The Pitchfix Divot Tool, the original offering from one of the most recognized manufacturers of greenside accessories, features a switchblade function that automatically opens the device, exposing a two-pronged tool that is ergonomically designed for best results. The handle of the soft Pitchfix Divot Tool, which fits easily into your pocket, is rubberized for comfort, and the lightweight aluminum prongs are made to withstand even the most difficult turf. The tool is available in 17 colors to match your personal preferences, and the removable logo marker, which attaches magnetically to the divot tool, means you will never have to search for a ball marker again. The tool also features an integrated scorecard pencil sharpener. A great gift for the golfer in your family, the original Pitchfix Divot Tool is a must-have device around the green. 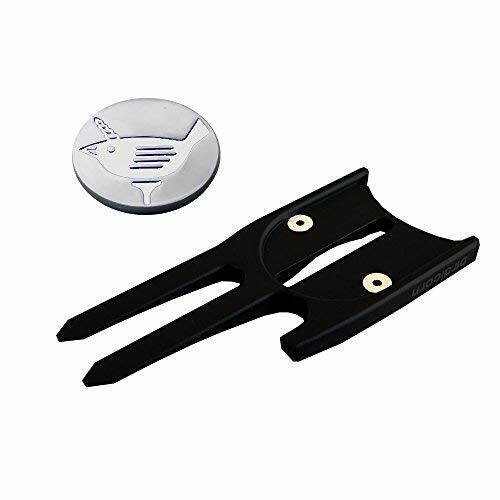 The Frogger Hop Magnetic Divot Repair Tool/Ball Marker is a solid, U-shaped golf ball divot tool with two slightly raised prongs that give golfers the perfect angle for repairing their golf ball divots on the green. The entire golf tool is made from a high-gloss zinc alloy that is always guaranteed to shine. 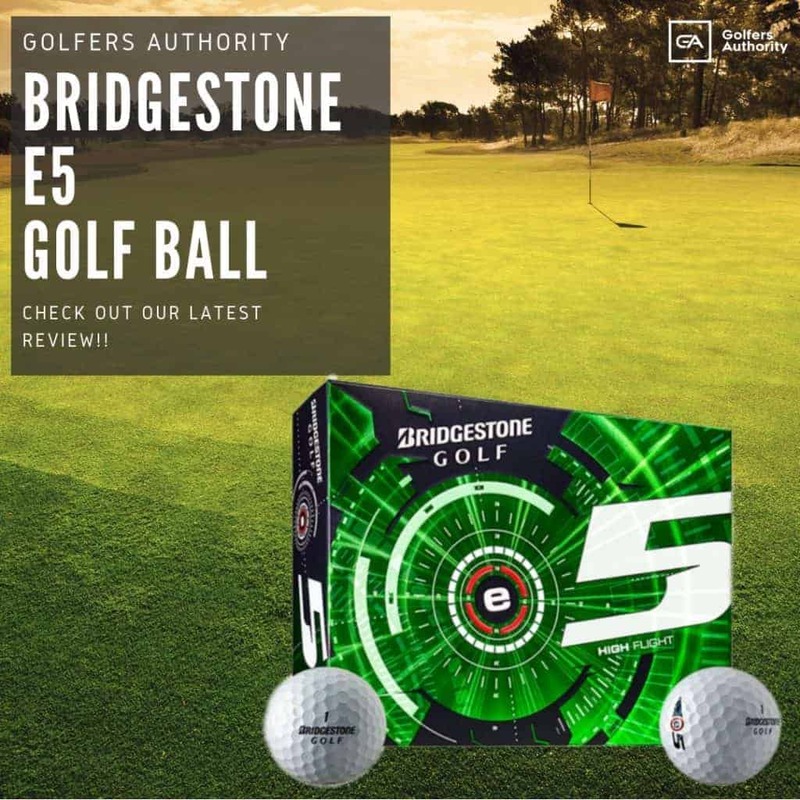 The package also includes a handy ball marker made of the same material. The back end of the Frogger golf divot tool is not only ergonomically perfect with a slot to hold the ball marker; it is also completely magnetized, enabling the golf ball marker to continuously cling to the tool. This means no more searching around in your pocket when you need your marker. The Frogger Hop Magnetic Divot Repair Tool/Ball Marker is the perfect U-shaped groove club tool for the green, and once your playing partners see this golf divot tool, it is sure to attract more than just your ball marker. 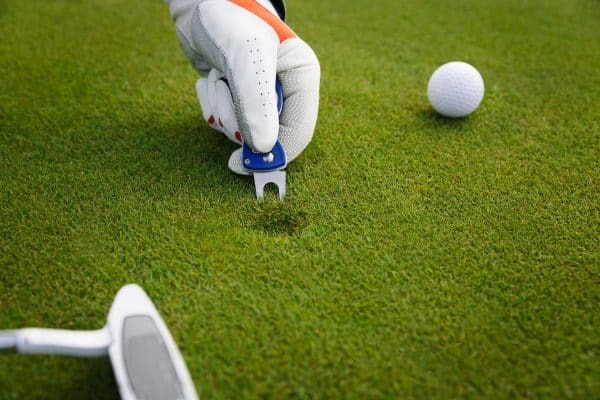 If you are a golfer, a golf ball divot tool is a must-have around the green, ensuring you will always stay in the good graces of your golf club and the others members who play there. And as you can see, these tools come in a variety of sizes, shapes, and designs, and most even include a few handy accessories and functions. 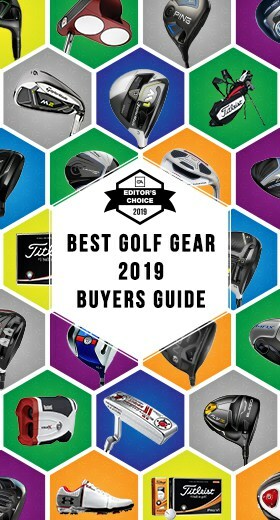 Of course, not all of these will be perfect for every golfer, so be sure to give them all a try before ultimately making a decision.